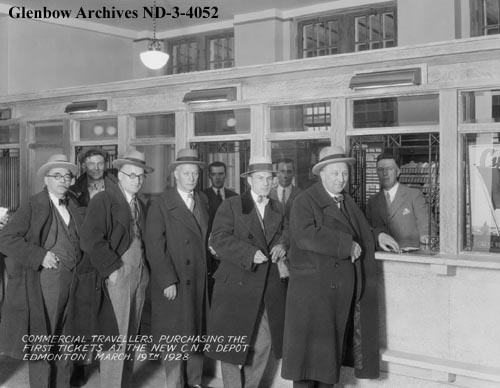 In 1905 the Canadian Northern Railway (CNR) built a station at 104 Ave and 101 Street. Later, in 1928 an additional railway depot was built east of the old station at 100 Street. 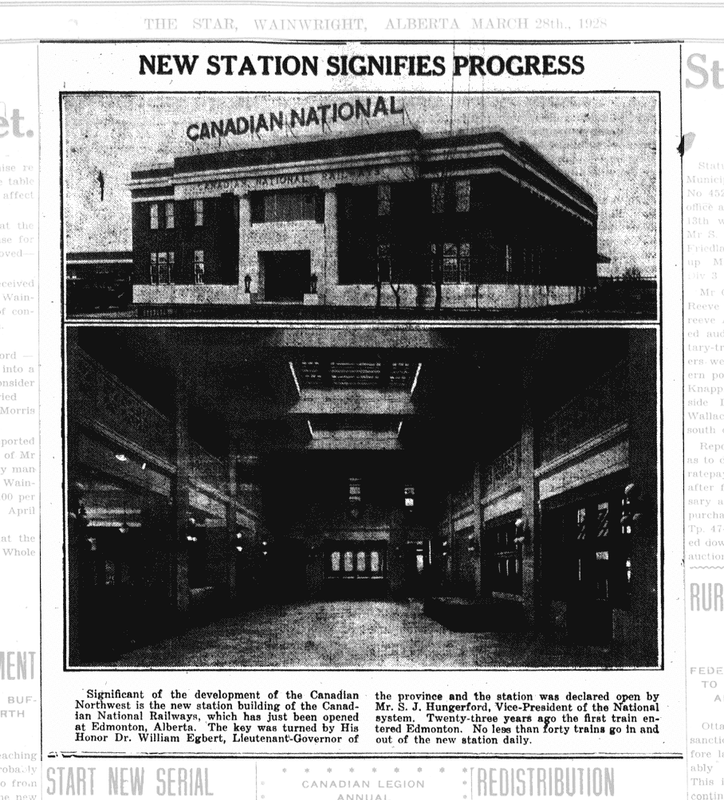 The 1905 station was torn down in 1953 and in 1966 the front of the 1928 station was replaced with CN Tower but part of the rear (office) section from the 1928 station remains to this day! 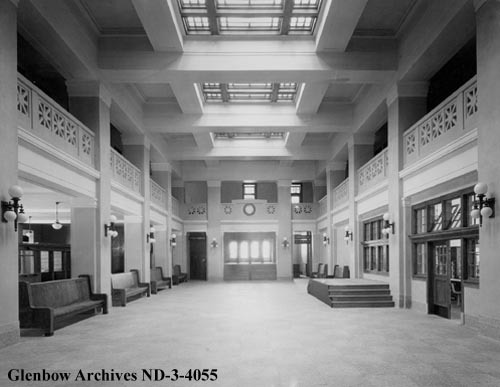 You can see the 1905 station and the entire 1928 station (front and rear) in the photo below. This entry was posted in Uncategorized and tagged 100 Street, 104 Ave, 1928 CNR Railway Station, CN Tower, CNR Station - 1905, CNR Station - 1928, edmonton, Queen's Avenue School, Railway Stations, Railways on June 16, 2014 by Yesterworld.